Spring is finally here! For those of us who have been hibernating during the dark, cold, dreary days of winter, we are so excited to see warmer weather, trees in bloom, and a whole new world emerge before our eyes. Exposure to the warm rays of the sun triggers the release of serotonin in your body, a feel good hormone that helps to regulate your metabolism, your sleep cycle, and many other vital functions of the body. Opening your windows to let some sunshine in, going for a warm spring walk, or even basking in a few minutes of sunshine on your lunch break will do wonders for your mood and your body. Winter takes its toll in many ways; your skin bears the brunt of dry air, forced heat indoors, and harsh cold when venturing out. All of these conditions are a recipe for disaster if you don’t properly care for your skin. Invest in a simple system of cleanse, tone, and moisturize, and stick to this routine at least once daily for best results. Consider doing some whole body treatments of exfoliating and moisturizing to get ready for shorts, swimsuits, and flirty dresses of spring and summer. Studies have shown a clear link between time spent in nature and improved mood. Spending time looking at lush greenery, beautiful flowers, and the freshness of spring will improve your mood, lower your stress, and improve your overall health. Spring weather is the perfect excuse to get outside and do your workout routines, or get in an extra calorie-burning walk to improve your fitness goals. Making excuses during winter might be acceptable, but being a couch potato in the springtime is just plain laziness. Get off your duff and start exercising to improve your health! Grocery stores are teeming with bounty in the spring; fresh fruits and vegetables are at their most accessible, and your body craves lighter and healthier foods moving into a season where you will be more active. Focus on eating fresh, whole fruits and vegetables, clean protein, and whole grains, and you will look and feel better. Increased activity and increased perspiration demand that we improve our consumption of water. Aim for eight 8-oz glasses of clean, pure water daily, and your body will respond by flushing out harmful toxins, dumping toxic pain, and giving you increased mental clarity. Despite the fact that the sun is keeping longer hours these days, it is necessary to get enough sleep. Consider turning off technological devices, dimming the lights, and going natural closer to the time that you usually retire. You’ll wake up rested, refreshed, and ready to tackle the next beautiful spring day before you. Weather is warmer, road conditions are improved, so it’s time to get in for some long awaited appointments. If you find yourself suffering from seasonal allergies, perhaps it’s time to get in and see your doctor for seasonal relief. Being at your healthiest and most fit when spring turns the corner will ensure that you will be able to take full advantage of all the season has to offer. 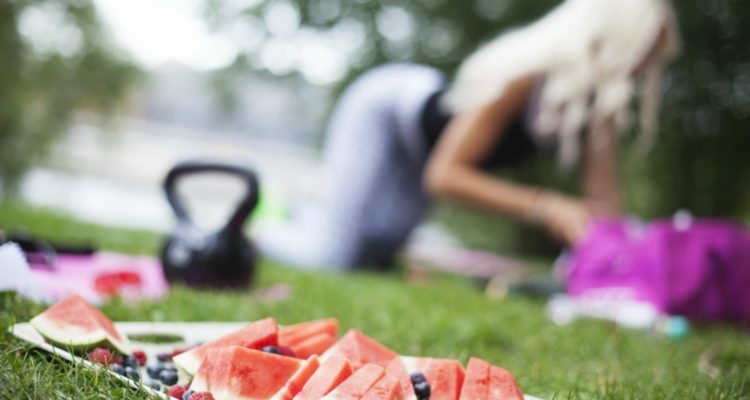 Enjoy the warm fragrant days, the balmy nights, and look forward to better health as a result of following these simple tips for staying healthy this spring!